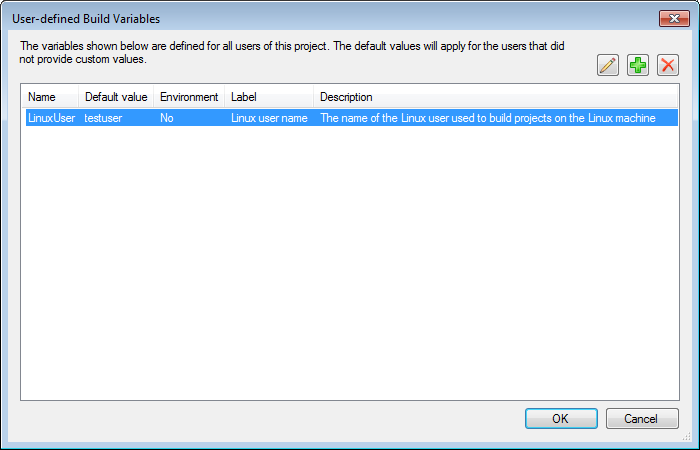 This tutorial shows how to share a VisualGDB project between several users and define some settings such as Linux user name independently for each user. 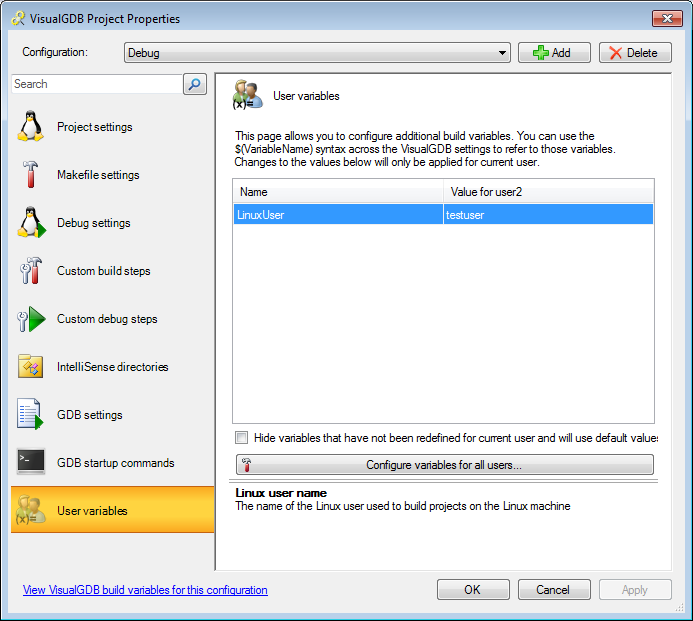 Before we begin, ensure that VisualGDB 4.0 or later is installed. 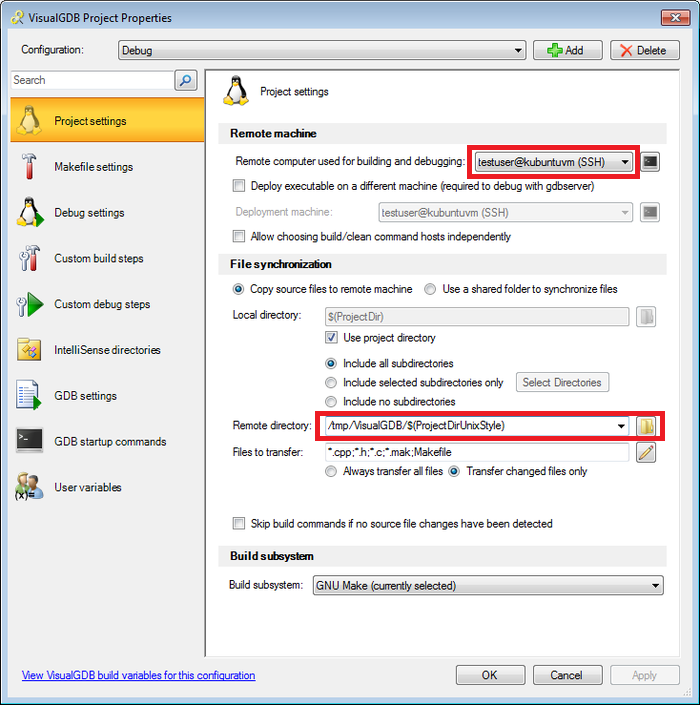 First of all, create a new VisualGDB Project for Linux by following this tutorial. 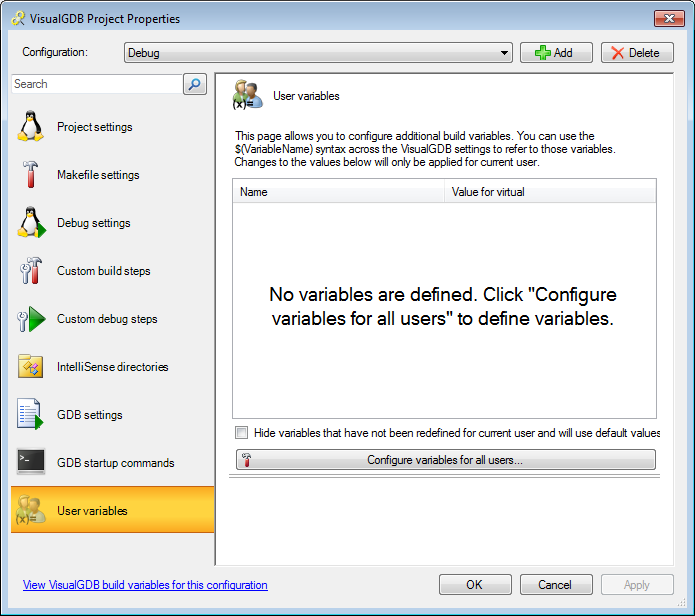 Note that the techniques described in this tutorial apply to all VisualGDB Project types (e.g. 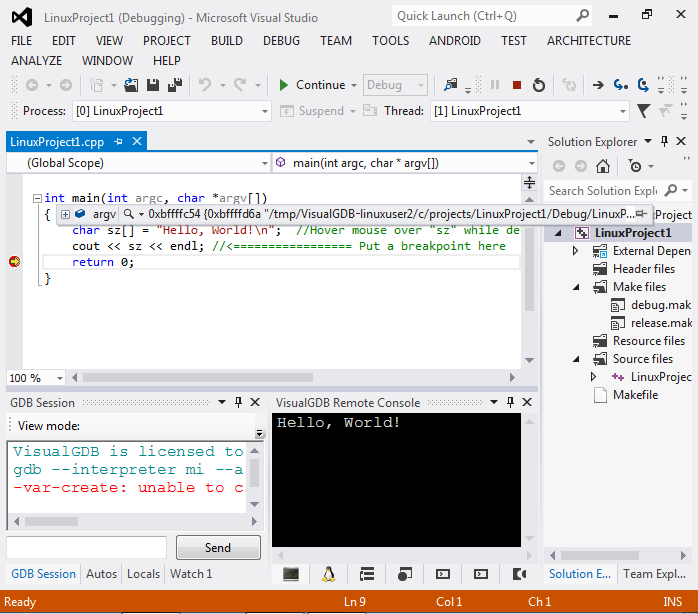 Windows, Android or Embedded). As we want the computer name to be fixed, simply enter it in the corresponding field. 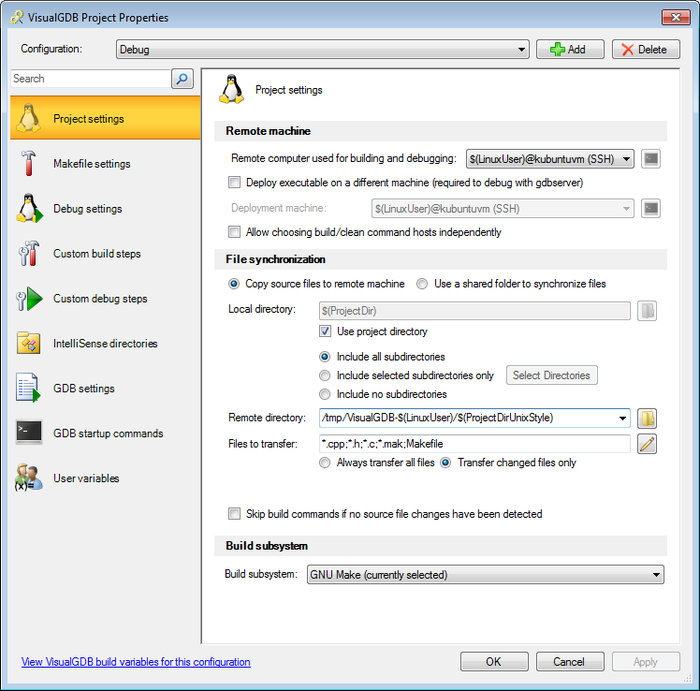 Select $(LinuxUser) as the user name. Now change “remote directory” to “/tmp/VisualGDB/$(LinuxUser)/$(ProjectDirUnixStyle)” Warning: If you place per-user directories inside a common directory, ensure that all users have write access to all subdirectories. 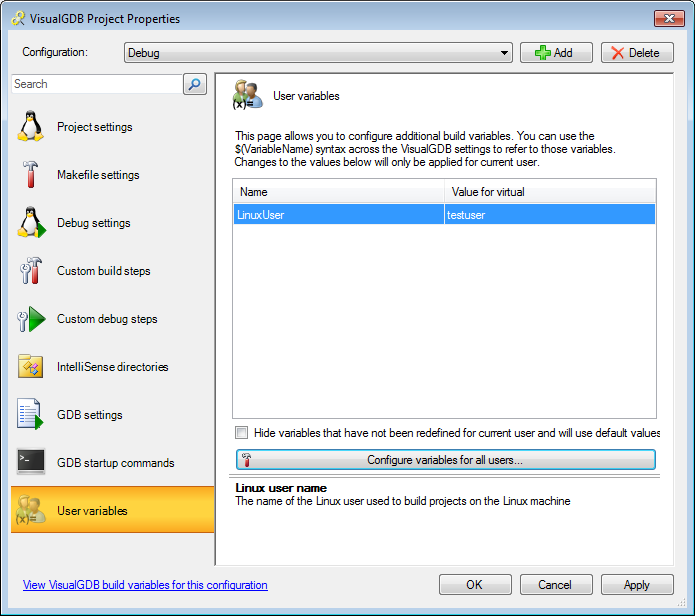 Change the value of LinuxUser to the Linux user name you want to associate with the current Windows user. 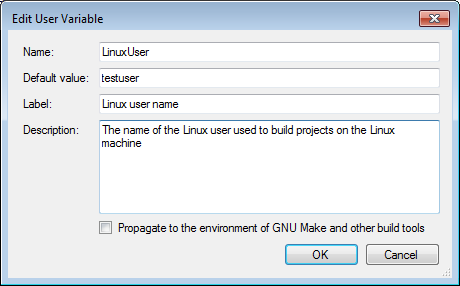 In this tutorial we will enter “linuxuser2”. #Generated by VisualGDB. 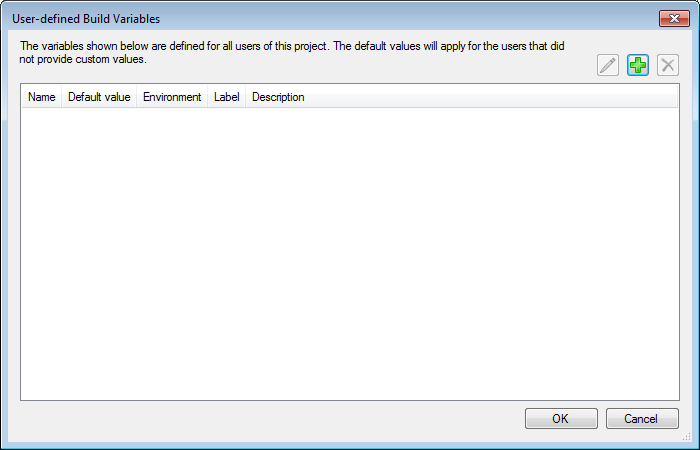 Contains per-user values for custom build variables. 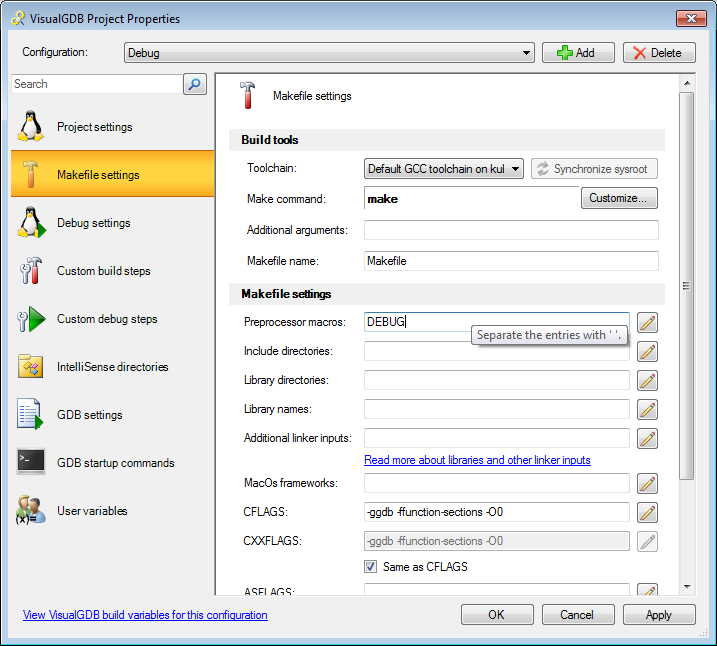 As the file name contains the user name, you can check in the file into your source control system without causing any collisions between different users. You can also use third-party tools compatible with GNU Make syntax to read or modify the per-user settings files.